I am still recovering from a great weekend of camping with my Daisy Girl Scouts. My younger daughter is in kindergarten and I am her troop leader. We had 5 Daisies come, each with their mom (or grandma), plus 2 older sisters who are also Girl Scouts. And then we had 2 stowaways… my husband and 5-year-old son. So 14 of us all together stayed in 6 platform tents for 2 nights and the girls had a fantastic time. I think their favorite part was washing the dishes. I used Sharpie oil-based paint markers (my new favorite!) 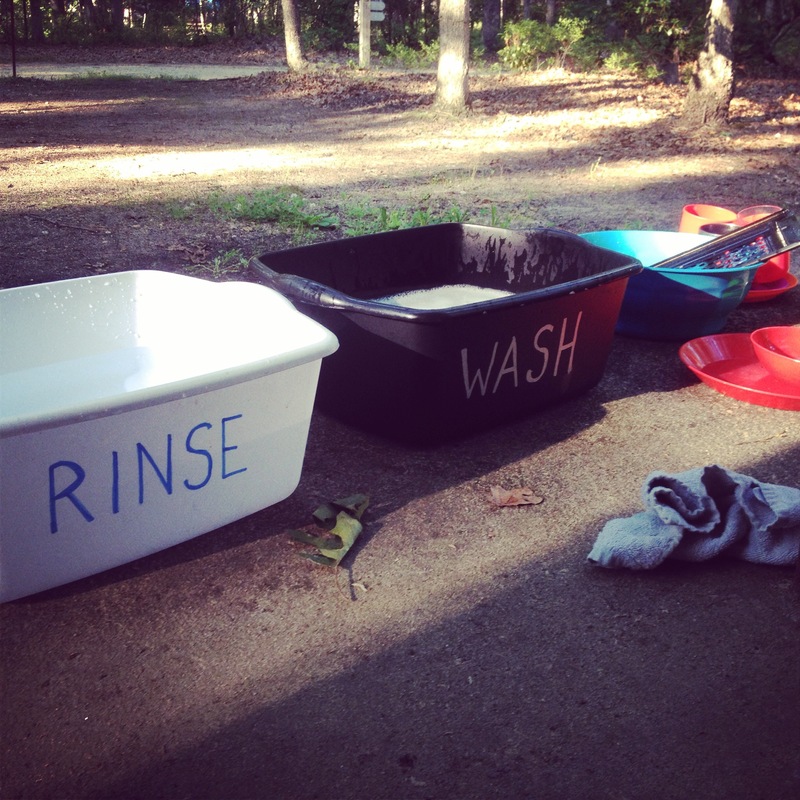 to write WASH and RINSE on the tubs. These will be perfect for family camping too, not just Girl Scout camping. 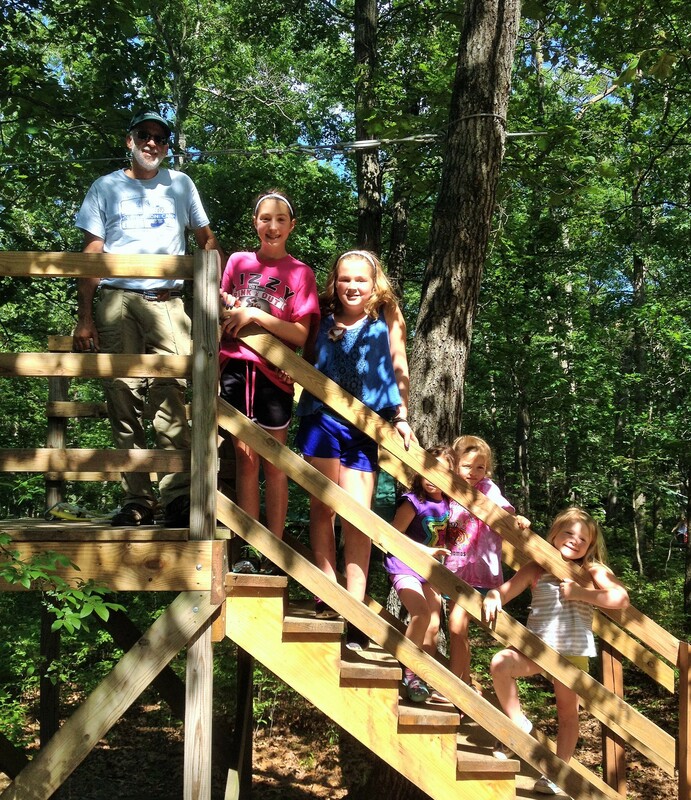 The girls loved the mini-zip line that the ranger operated. 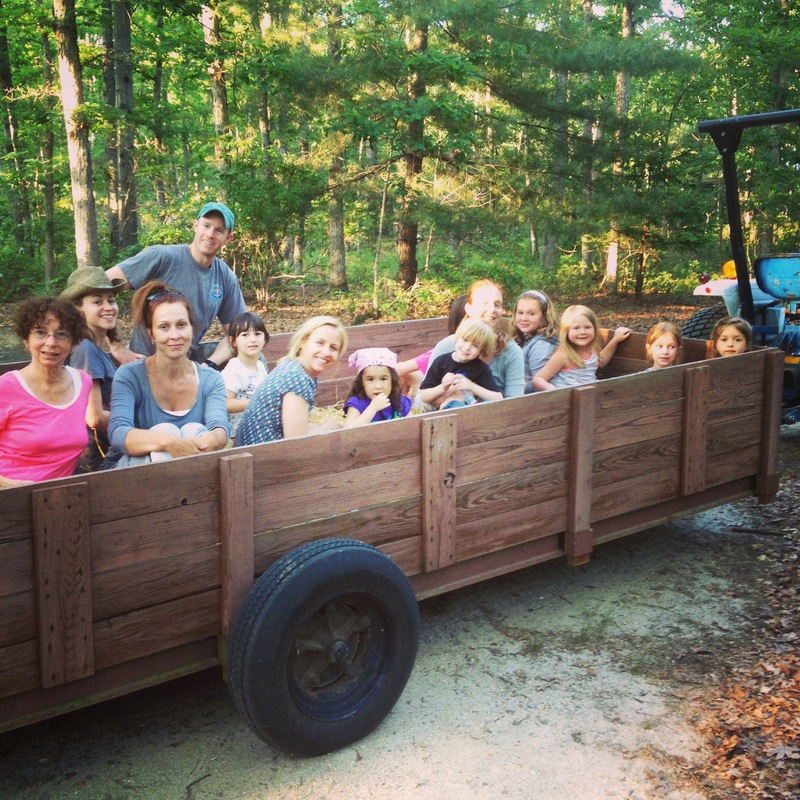 On Saturday night the whole group went on a hay ride. 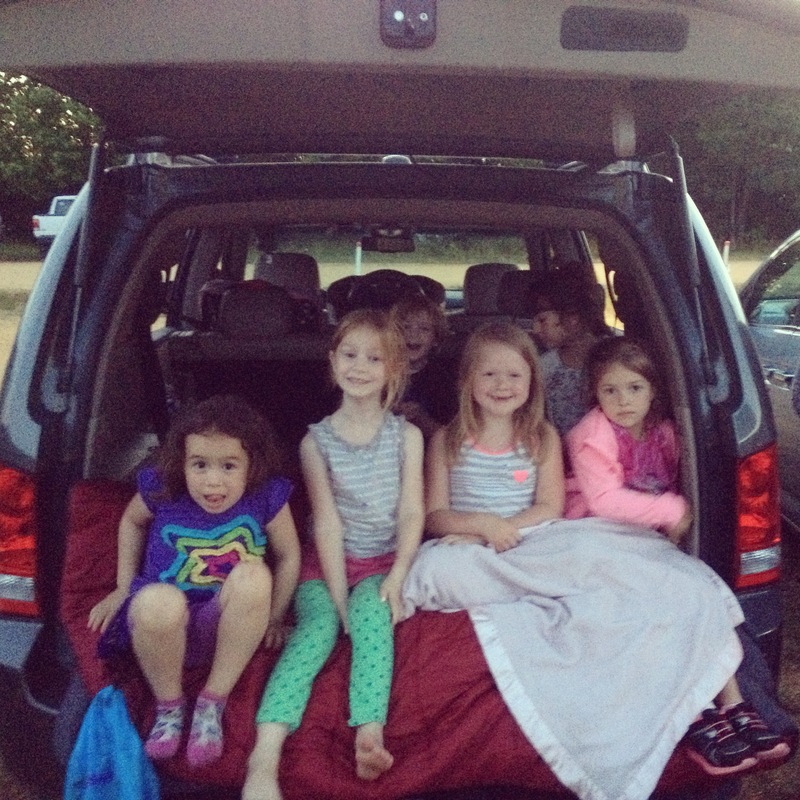 Then we took them to their first drive-in movie. Well my girls had been before, but the others had not. Sorry the pictures are so grainy. That’s with my iPhone at night. 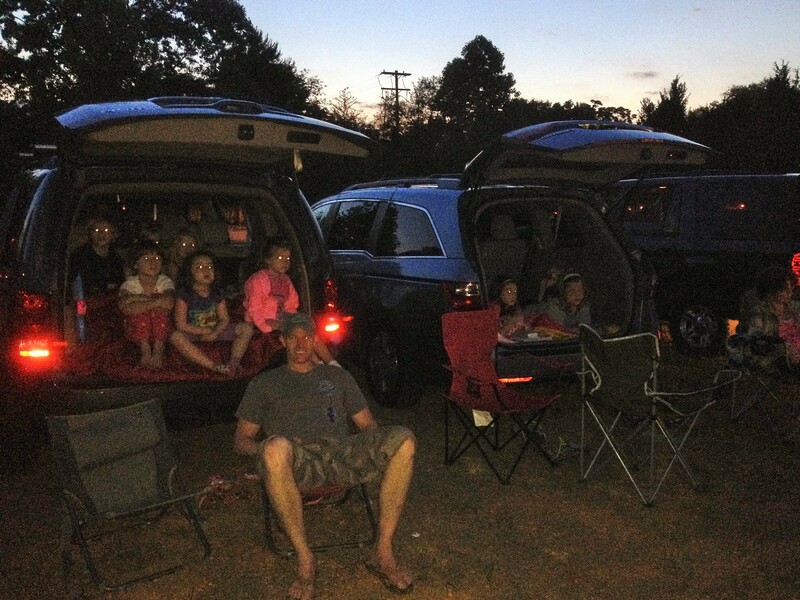 We piled the smaller girls (and my son) in the back of my Honda Pilot and the bigger girls in the back of a minivan. 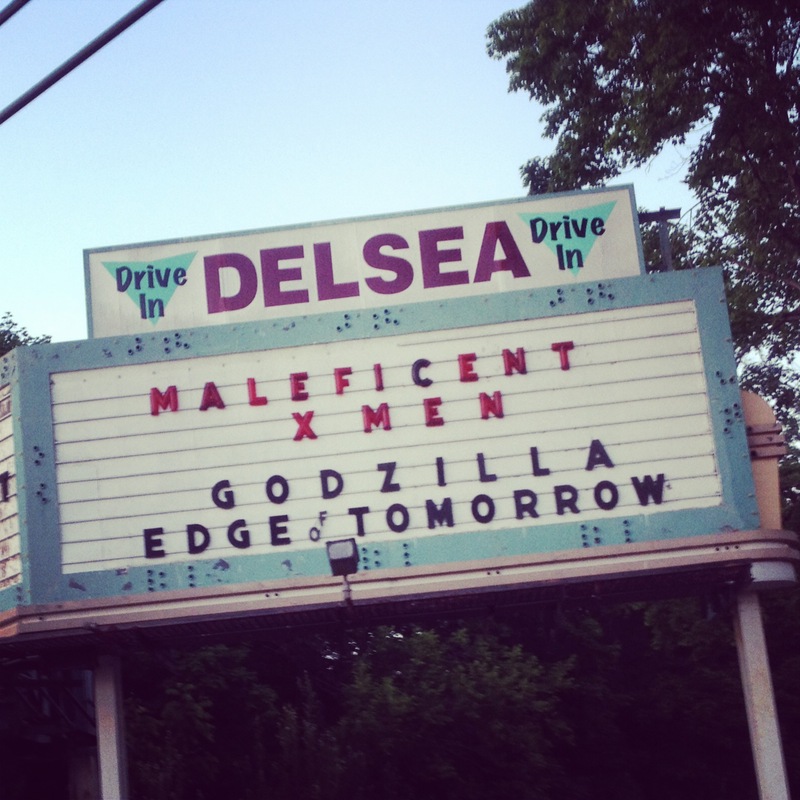 The Delsea Drive-in is the only drive-in movie theater left in New Jersey. Lucky for us it was only 11 miles from our camp grounds. Of course we didn’t stay for the double feature and left after Maleficent. That was scary enough for these kindergarteners, they didn’t need to see Godzilla. 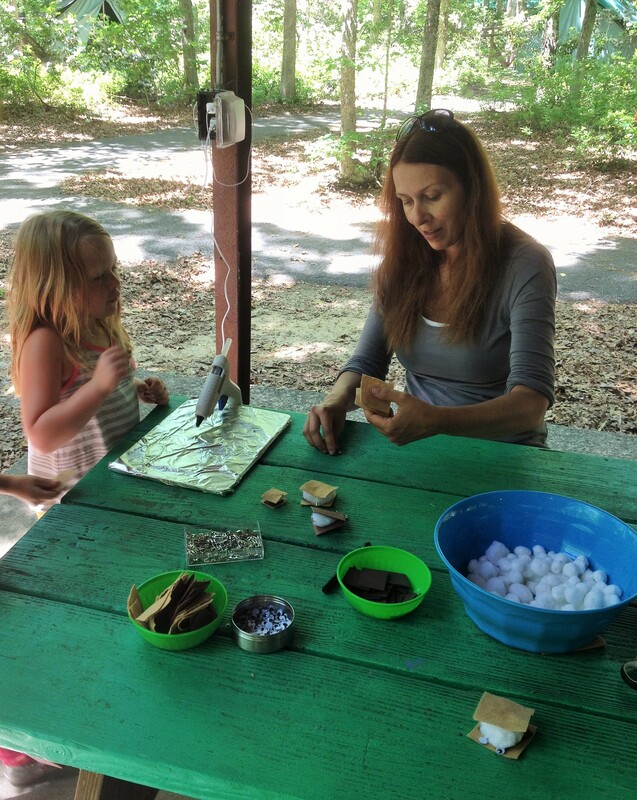 We did a lot of crafting at camp too. Girl Scouts have a thing called SWAPS (Special Whatchmacallits Affectionately Pinned somewhere or Shared With A Pal) which are basically a craft you can exchange with other Girl Scouts so you can grow a big collection. Check out this Pinterest board for more inspiration. 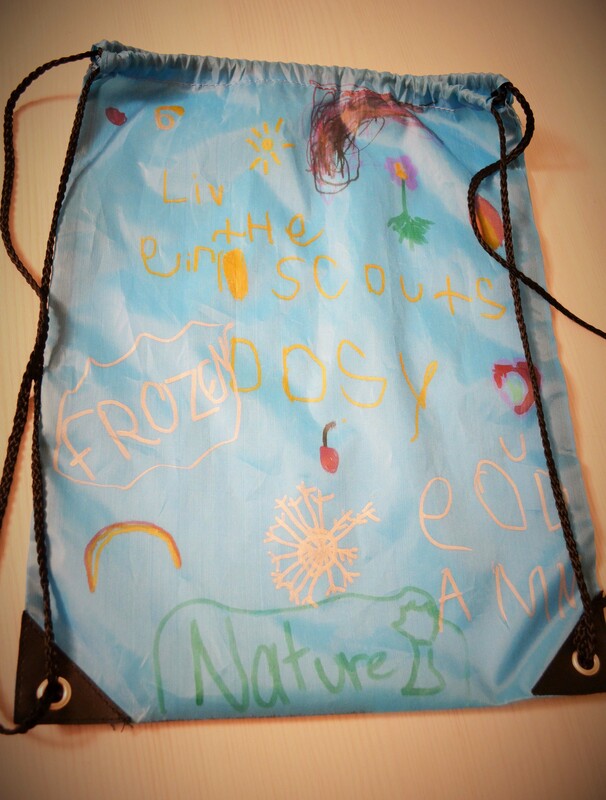 The girls made 4 SWAPS and a decorated a bag to pin them on. I brought enough craft supplies so each girl could make multiples, because of course they’re going to want to keep one for themselves as well as have some to trade. Each SWAP now has its very own blog post, so please click on the image below for the full directions. The older girls decorated the canvas bags and the younger girls decorated blue nylon drawstring bags that I got at AC Moore for $.99 each. All they needed were some fabric markers and they were happy. It was a great weekend and we’ll definitely be doing it again next year! Be sure to check out more posts about our family life below! Thanks for your post! 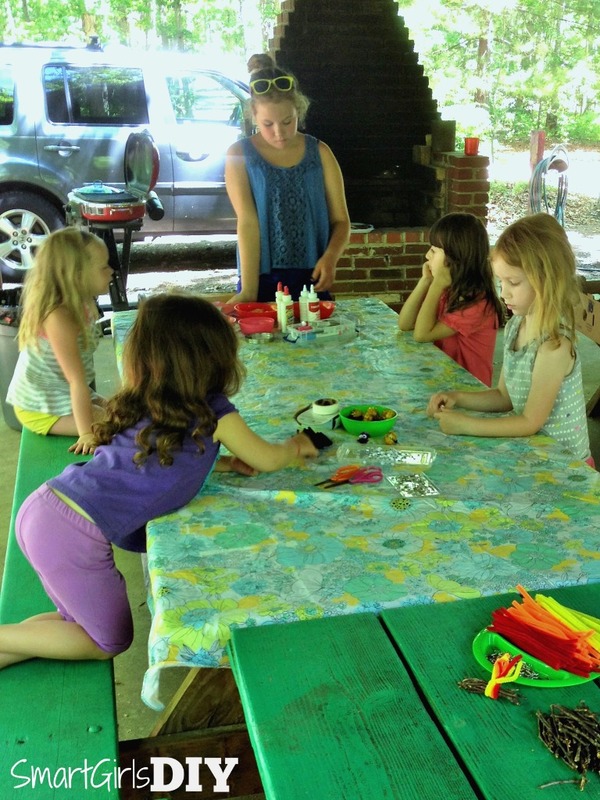 My Daisies are going to their first Camporee and we were looking for SWAP ideas. This is right on time. I can’t wait to organize our camp trip. Thanks again for sharing. You’ll have a blast! Good luck with the SWAPS!! If you have other kid-friendly craft tutorials, we’d love for you to submit them. If you would like to display a featured button on your site, you can get one from the right side bar of your post above. Thanks for a neat project idea!